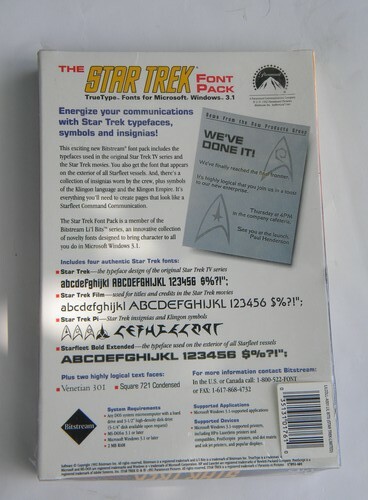 Sealed early PC Star Trek TrueType font pack Federation, Klingon etc. 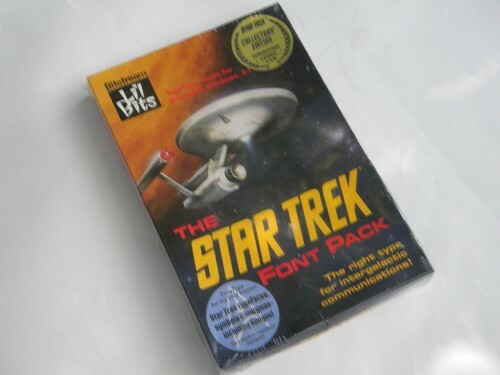 Early PC Star Trek TrueType font pack still factory sealed in the original shrink wrap. 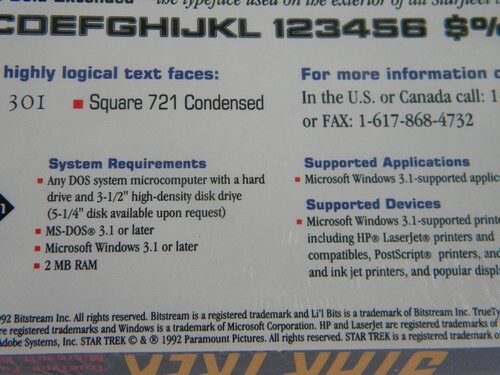 This font pack includes a font based on the Star Trek TV series, one based on the Star Trek movies, one of symbols and insignia (Starfleet, Federation, Klingon etc.) and a font for Starfleet Command communications. According to the box these are on a 3.5" floppy disk and it is marked for Windows 3.1. But you should be able to install a TrueType font on any Windows version (we don&apos;t know about Mac, sorry).